I had originally wrote a draft 1600+ words covering the last five years, but then I realized this week it was no longer necessary. All my previous blogs cover the last five years fairly well, but the short of it is that 2012 defined my life in a negative way, and I never forgave myself for spending so much just to re-learn what I had already received for free. I am finally able to let it all go this year. Finally getting a day job has accelerated this year and I really haven’t made a lot of time for finished work, other than the Blizzard Heroes of the Storm contest piece. 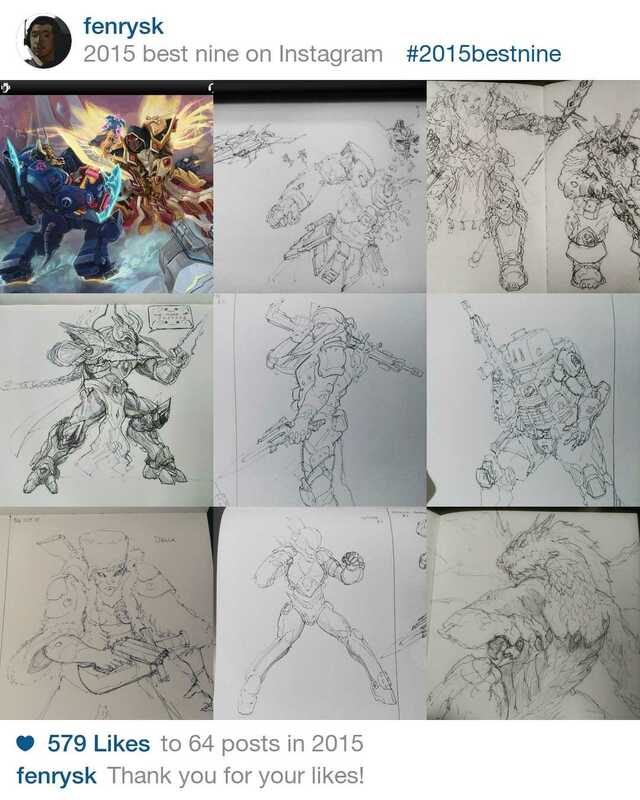 Most of my sketches were posted to Instagram as I still haven’t taken time to scan my sketchbook drawings going as far back as October 2014. My goals for 2016 will be to set up an oil painting space in my room and start working more traditionally hereafter, hopefully achieving a good balance between digital and traditional.